Experience the genuine and warm welcome of our team who will make you feel at home, cherishing this unique moment of your life. Immerse yourself in the Mauritian hospitality, where magic lies in the perfect balance of luxury and friendliness. 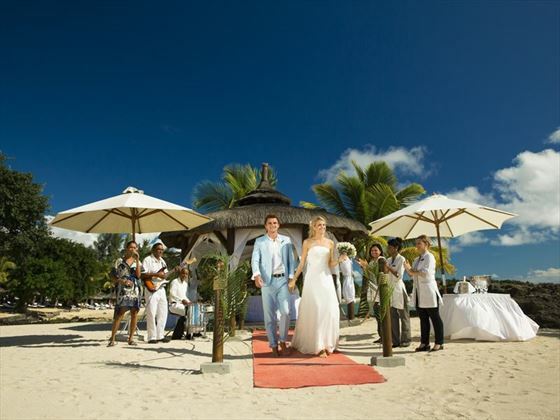 Maritim Resort & Spa Mauritius is ideally located on the north west of the island between the capital Port Louis and the lively village of Grand Bay, the ideal starting point to discover Mauritius. 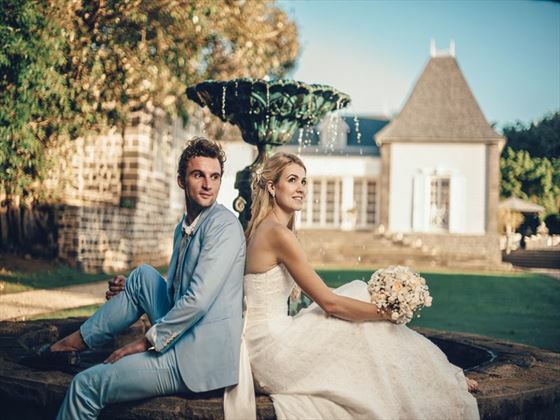 An unrivalled choice of exceptional venues is available to the bride and groom as well as a specialised and dedicated multilingual team who will organise everything on-site. 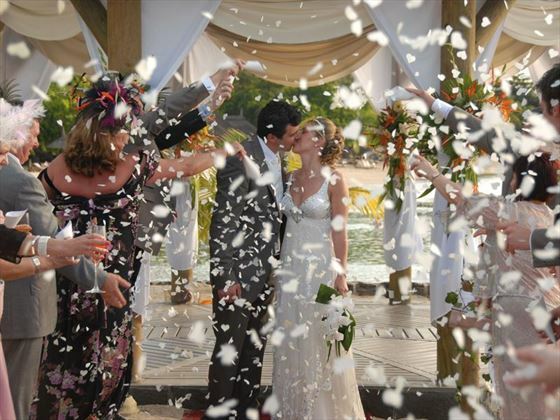 Choose from many & unique locations for your wedding including the Wedding Gazebo on the beach, the English Garden at Château Mon Désir, the Jetty (accessible after 5.30pm), the Historical Ruins of Balaclava, riverside or Canon area or under on the centenary banyan trees. It's your special day, so your chosen wedding package should also be special. Why not upgrade that special day with our new & exclusive Luxury Wedding packages that come with all the fine frills of a true island wedding experience including wedding photography, hair & make up for the Bride and a Wedding Day BBQ for the Bride & Groom and up to 20 guests! Book a Premier Wedding Package and receive a discount of $150. Book a Luxury Wedding Package and receive a discount of $450. Discounts are exclusive to Tropical Sky.